Finding reviews of The Lawnmower Man proved unusually difficult. Looking through all those 1993/94 magazines, it’s clear that CD gaming was only just beginning to take off over here and didn’t get a whole lot of coverage. When they were covered, CD games were often relegated to short independent sections near the end and the titles weren’t even listed in the reviews index with all the floppy disk games. 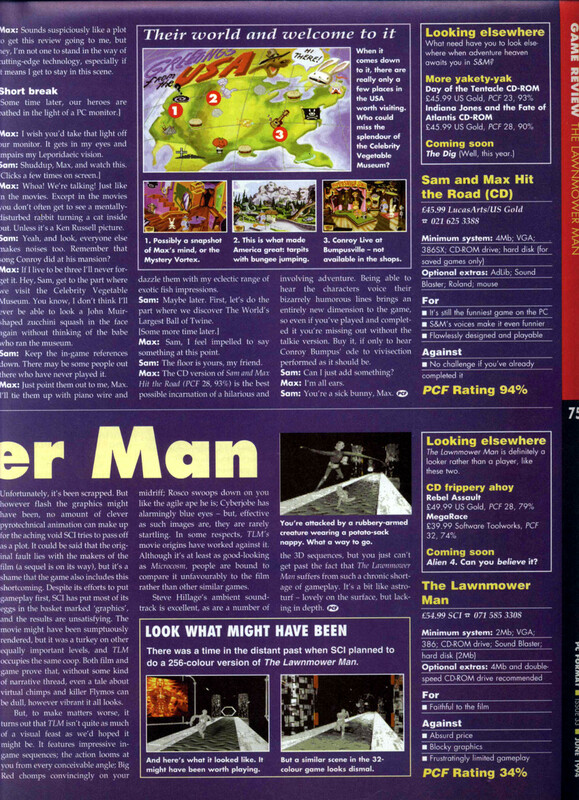 I did find one brief review in the July 1994 issue of PC Format. This issue gave an introduction to CD-ROM gaming with buyers guide to drives and something of a catchup on CD games reviews. I’d possibly be slightly less harsh on the gameplay but more or less agree with every word. The 32 colour graphics would explain why it looked so awful. Sam and Max above fairs considerably better and rightly so. 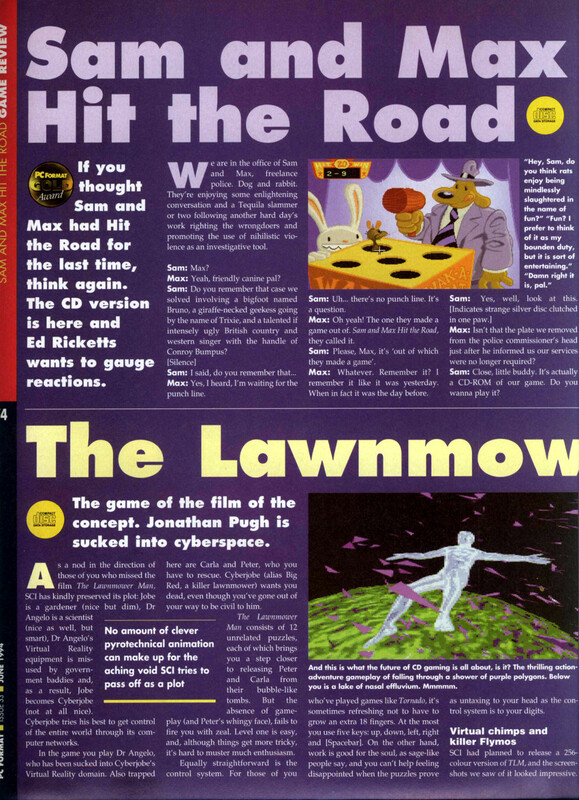 This entry was posted in Magazine Scans and tagged dos, lawnmower man, pc format, pc game, review, sam and max by Pix. Bookmark the permalink.